Tune in to the very best in Canadian University Sports on Canada West TV. Watch top student athletes competing before they turn pro! Canada West champions go on to represent the conference at U SPORTS national championships. Choose from a wide range of packages to suit your viewing preference. Enjoy Canadian Football League action LIVE and on demand in over 130 countries. This service delivers games outside of the TSN, RDS, ESPN and BT territories in HD to PCs, smartphones, tablets, and connected TVs. Catch up on the entire 2018 season, with all on demand videos available world-wide during the off-season. The Roger's Sportsnet Pinty's Grand Slam of Curling series features the very best curlers from around the world. International fans (outside of Canada) can catch all of the action on PC, mobile, tablet, and connected TVs. Watch 2018 Olympic Gold, Silver and Bronze medalists compete in 7 tournaments through the year. 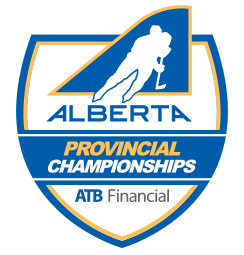 Enjoy 12 games of top flight Junior B Hockey streamed for FREE starting April 11 through April 14, 2019. Featuring thirteen voices from the community, unified by the power of a Shift in Thinking, to inspire and support the growth of ideas in Surrey. TEDx events are independently organized by curious individuals who are looking to capture the power of ideas in their own community. Watch the entire event on demand. 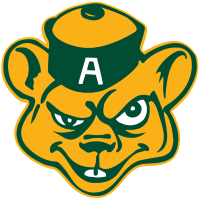 Watch the 2019 Golden Bears Open hosted by the University of Alberta! This high-quality competition is designed to challenge the competitive spirits of all USPORTS track and field athletes. The Golden Bears Open competition is open to the public and provides an enhanced competitive opportunity for interested athletes. 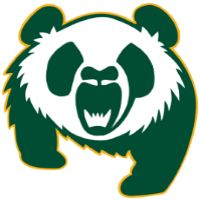 Watch the 2019 Pandas Open hosted by the University of Alberta! The Pandas Open competition is open to the public and provides an enhanced competitive opportunity for interested athletes. Both the 2019 IFAF World Junior Championships and the 2018 European Championships are available to view on demand for free. The Junior Championships features teams from the USA, Australia, Canada, Japan, Sweden, and Mexico. The European Championships features Denmark, Austria, UK, France, Finland, and Sweden. Copyrights © 2019 All Rights Reserved by Yare Media. The Yaretv.com Streaming Service (the "Service") offered through the Site, is made available by Yare Media Group Inc. ("Yare") in cooperation with our content providers and partners (“Partners”). Yare provides streaming platform services that enable content providers to deliver sports and entertainment content over the internet to certain internet connected devices such as PCs, mobile phones, tablets connected TVs and other devices. Access to PPV content (PPV) requires an access fee. Registered users are able to access PPV content by (i) paying a fee to access select premium content for an extended time period ("Subscription Fee") defined in the package offer; or (ii) paying a one-time fee to access certain live PPV content at a designated time for forty-eight (48) hours ("Pay-Per-View Fee"). The current Order fees (the "Charges") applicable to the Services are located on the Partner pages located at http://www.yaretv.com. You may be directed to another Yare website for payment and access to Content, depending upon the Partner Content selected. The Charges applicable for the Services together with all applicable taxes will be billed automatically to the credit card (the "Account Credit Card") you designated during the Order process or subsequently designated to Yare. You warrant that you are the cardholder of the Account Credit Card and the relevant information required for processing charges is valid at all times. You must notify us of any change of address or other relevant information in a timely fashion. If the Account Credit Card expires, you must notify us of the new expiration date before the previous expiration date has passed. Yare reserves the right to levy an administration fee for any credit card transaction that fails. If you want to designate a different credit card or if there is a change to the existing Account Credit Card, please advise us e-mailing [email protected] You agree to pay all Charges incurred in connection with your use of the Service through your Order, including any applicable taxes, at the rates in effect when the said Charges were incurred. Except as provided herein, all Charges are non-refundable. I understand that payment will be processed by Yare Media Group Inc. and that YARE TV or the Partner name is the name that will appear on my transaction record. Please note that Charges do not include any applicable fees or charges incurred to access, or to receive alerts or other information from the Site or any of the Services, through an Internet, wireless or other third-party service provider. Accounts will remain active for the period specified in the Order. Refunds will not be given for partial periods. Accounts may be terminated by emailing [email protected] and providing your name, account login and last four (4) numbers on the credit card used to place the Order. You are responsible for all hardware, software and internet connectivity necessary to access the Services. We will use reasonable measures to ensure that the Service is available at all times, however, the Service is provided on an "as is" basis. The quality of the display of the streaming of events may vary from computer to computer, and device to device, and may be affected by a variety of factors, such as your location, the bandwidth available through and/or speed of your Internet connection. At certain venues the video and technical requirements associated with producing the streams may be provided by student or volunteer personnel. We will not have any liability to you for the cancellation or abandonment of any event or the failure to show an event as scheduled, nor in the circumstance where you are unable to watch any event on a specific platform device. Certain software used to deliver the Service may vary by device and medium, and functionalities may also differ between devices. You acknowledge that the use of the Service may require third-party software that is subject to third party licenses. The Services and the Content are for your personal, non-commercial use, entertainment and enjoyment. You may not reproduce, duplicate, copy, translate, broadcast, publicly display, sell, transmit, retransmit, license, sub-license, publish or modify any of the Services or the Content without the prior written consent of Yare and the content Partner. You agree that your access to the PPV Content is restricted to simultaneous access on two or fewer distinct devices at one time and we reserve the right to force a log off for your account or restrict login access in the event we determine at any time, in our sole discretion, that your account has been simultaneously logged into on more distinct devices than permitted. Yare reserves the right to terminate your Order and your access to the Site and PPV Service at any time and for any reason, including without limitation, if the Account Credit Card is invalid for any reason, if Yare does not receive payment, if a password is shared, or where Yare has determined, in its sole discretion, that use of the Service by you is, or was in breach of the Terms of Service. Any such termination by Yare shall be in addition to and without prejudice to such rights and remedies as may be available to Yare, including injunction and other equitable remedies. The disclaimer, limitations on liability, and indemnity provisions shall survive termination or expiry of your order and this Agreement.